The Darien Police Department is issuing this traffic advisory in order to alert motorists of a travel restriction/partial road closure on Saturday, Oct. 13 in the area of Tokeneke School as the Tokeneke Pumpkin Carnival takes place. The school, located on the corner of Tokeneke Road and Old Farm Road, will be holding its annual Tokeneke Pumpkin Carnival on the above listed date. Rain date is Sunday, Oct. 14. Between the hours of 9:30 a.m. and 4:30 p.m., Old Farm Road (at Tokeneke Road) will be closed to all incoming traffic. It will be open for outgoing traffic only. All Tokeneke area residents (and guests of residents) are advised to enter the Tokeneke area through the alternate entrances of Arrowhead Way, Driftway Lane, or Five Mile River Road. Ample off-street parking is available for those attending the fair at Colangelo Group (120 Tokeneke Road) or Zoto’s International (100 Tokeneke Road). On-street parking will also be permitted on Tokeneke Road as posted. As in the past, there is no parking allowed on Old Farm Road. Additionally, there is no parking at any time on any private road of the Tokeneke Association. The Tokeneke Park Police will be patrolling the private roads of the Tokeneke Association to deter violations. 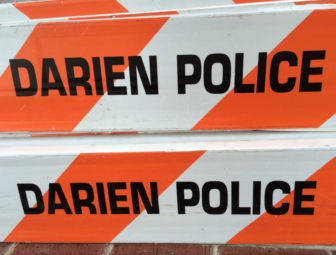 The Darien Police Department will have officers assigned to the event to assist both motorists and pedestrians. This designated traffic and parking pattern makes travel through the area safer for all. If traveling in the area, please expect minor delays and watch for pedestrians of all ages. Motorists not attending the event should consider alternate routes to their destination. To the editor, [Editor's note: This is a copy of a letter sent to Amy Daniels and Doreen Godfrey of the Tokeneke Parents Association, which organized this past weekend's Tokeneke Pumpkin Fair.] On behalf of the Darien Department of Human Services, I wanted to thank you and the Tokeneke Pumpkin Carnival Committee for your generous support. The Pumpkin Carnival Committee provided tickets to families in town with admission to the fair, punch cards for rides, and food vouchers for pizza and lemonade.